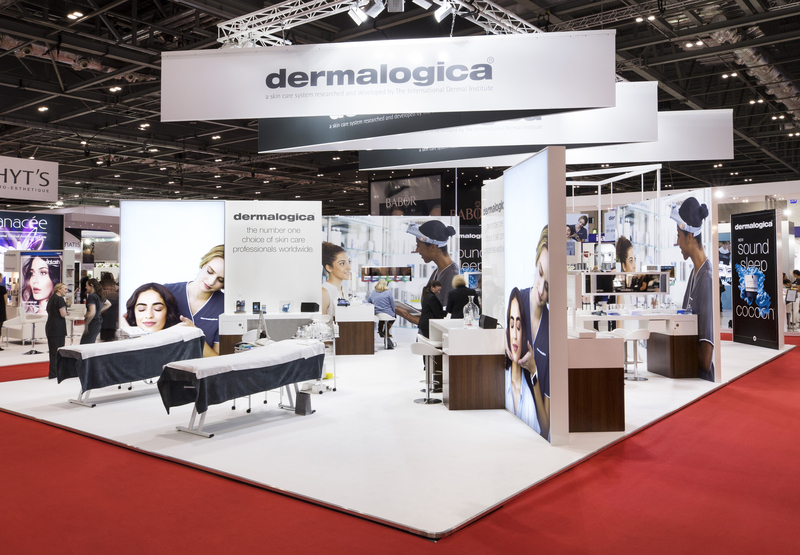 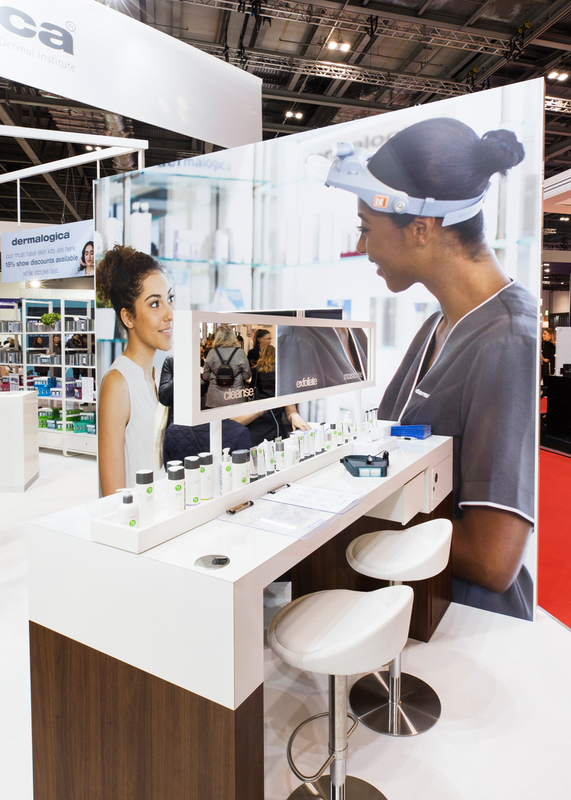 Limeblue designed a versatile, clean and contemporary stand for long-standing client, Dermalogica at this year’s Professional Beauty show in London. 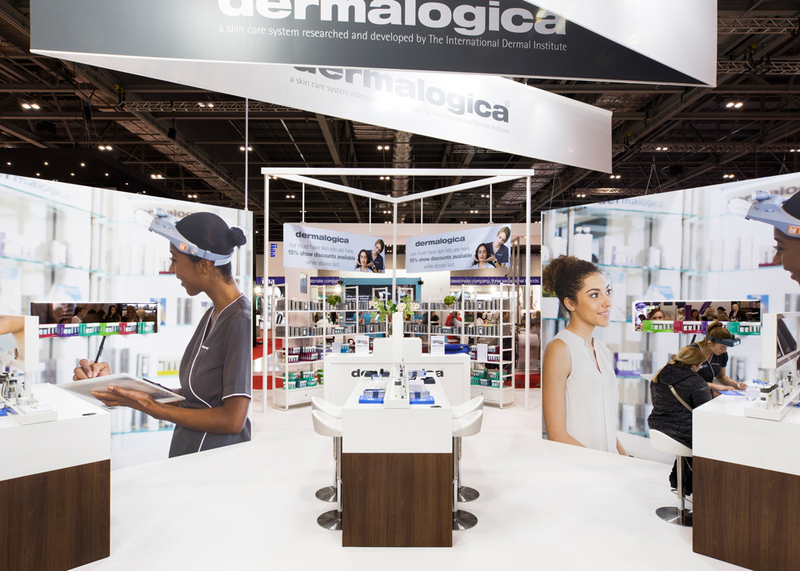 Limeblue were delighted to be once again producing Dermalogica’s beautiful stand design at Professional Beauty London. 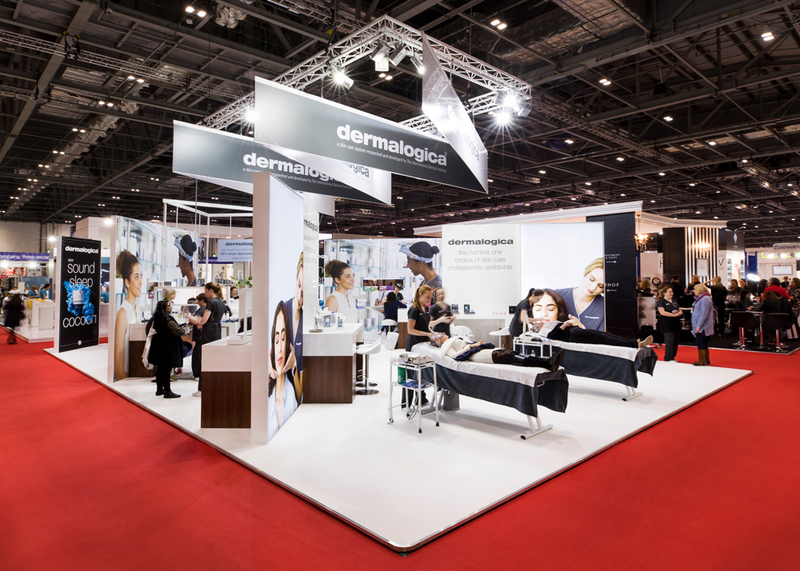 Regarded as the UK’s leading health and beauty trade show, Professional Beauty is designed to allow market leading beauty companies to showcase their latest innovative products to consumers and experts. 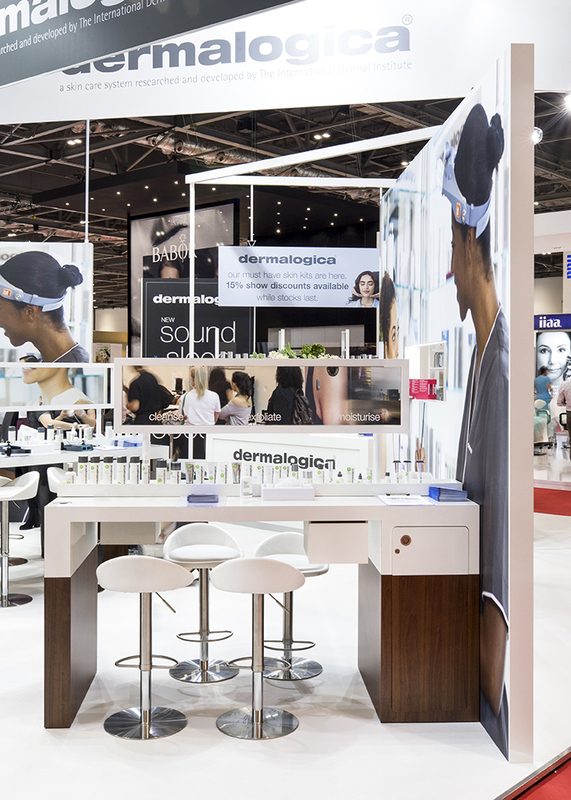 Limeblue designed and built a super-sharp, signature stand for Dermalogica that captured the attention of the show’s 30,000-plus visitors. 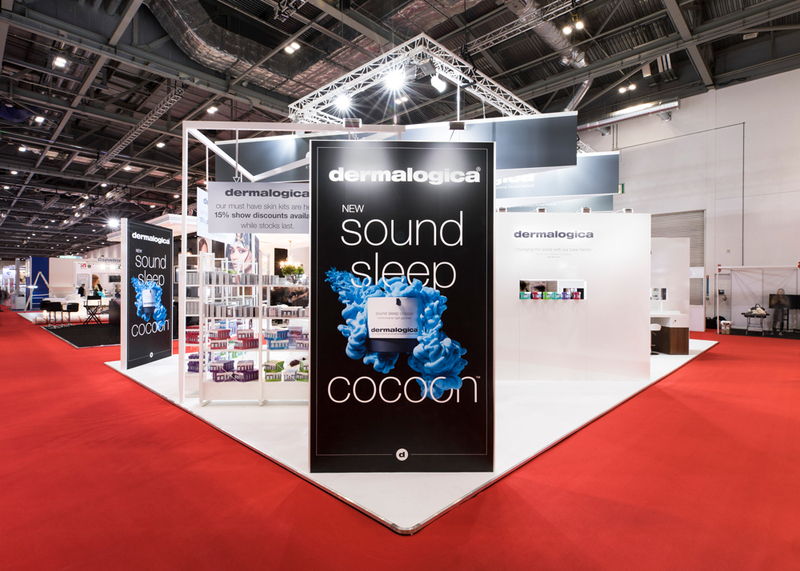 The stand had a minimal contemporary design with strong clean lines and seamless expert joinery. 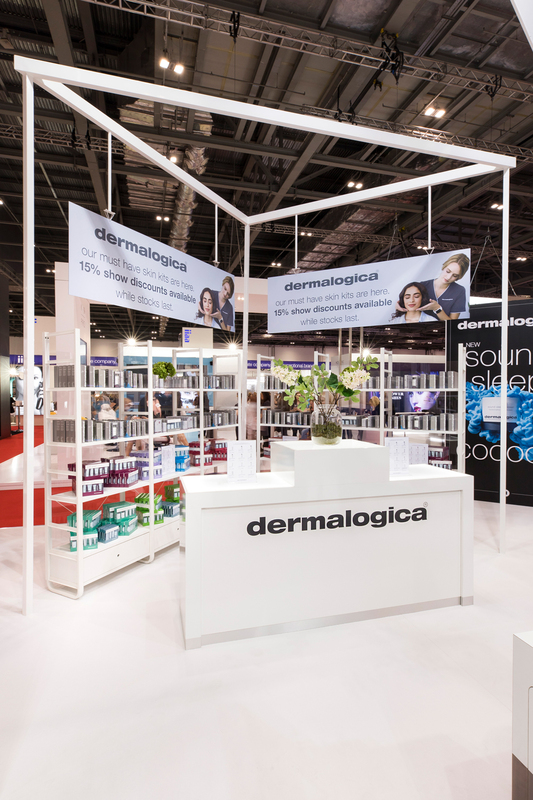 We have been working for Dermalogica now for 20 years and over the years, we have designed their retail spaces as well as their exhibition stands, which has allowed us to fully understand the brand and its core values.